Despite multiple lawsuits against him, Usher on friday hit the club hard with his friends to party. The singer was joined by Chris Brown, Wiz Khalifa, Ty Dolla $ign, DJ Mustard, Omarion and Jermaine Dupri at World on Wheels in L.A. Friday night to celebrate his 39th bday. Usher's crew rented out the VIP booth, but rubbed elbows with the public all night on the skating floor. The party started around 9pm and didn;t end til after midnight, which is when he officially turned 39. 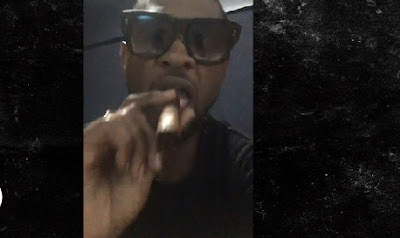 Though Usher had a busy week dealing with his Georgia herpes lawsuit, but he clearly didn't let that get in the way of his celebration.